SLAM: You’ve been named the Rookie of the Year, won the NBA Sportsmanship Award and made two All-Star games—what do you have left to prove to yourself and to those around you in your 16th NBA season? 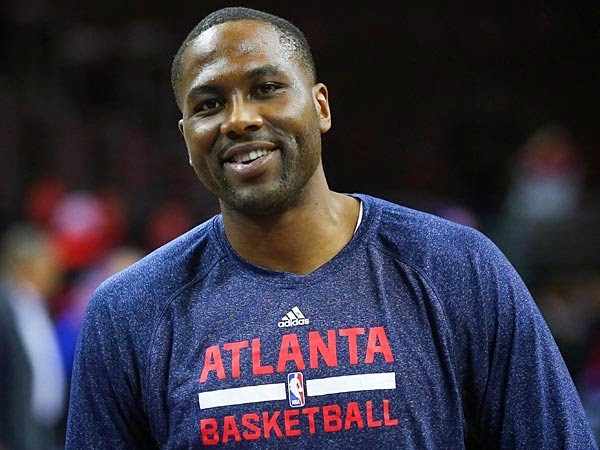 Elton Brand: I’m just really enjoying waking up and being in the NBA. I took my younger years for granted, as if it would last forever; now it’s close to being over, [and] I’m enjoying every aspect of it. [I] just want to prove I can contribute to a winning team at 35 plus. I remember PJ Brown hit a big shot for the Celtics in the Eastern Conference Finals during the last year of his career. As long as you are here, you are still writing your story. SLAM: You’ve played just about everywhere. Do you have a favorite city you’ve lived and why? EB: I have special feelings in all the cities I’ve played. I broke into the League in Chicago, and I remember the fun times [with the man formerly known as] Ron Artest, Corey Benjamin, Brad Miller, Khalid El-Amin and Lari Ketner [RIP] had together. We were young, and would hangout all the time off the court—that’s where the dream of being in the NBA came a reality. L.A. was my All-Star seasons and I really remember how great the fans were there. The Clipper fans were like family. I go to games now and see fans from 2002; one brings me homemade BBQ sauce [laughs]. My kids were born in Philly, so that will always have a special place in my heart. My family didn’t come to Dallas the first month or so, so I really bonded with the staff, not only those directly related to the organization, but the parking staff, people that worked at the arena, etc. I’ve been blessed to be in some great cities. SLAM: How has your approach, both mentally and physically, changed since you entered your first NBA season as the No. 1 overall Draft pick to now being a veteran role player? EB: My first 10-12 years, I was kind of a black hole. I thought if I got the ball that meant it was time for me to try to score. Being in Coach Carlisle and Coach Bud’s systems changed that for me; I understood how my contested two-pointer, especially when I don’t jump as high, is not a better shot than an open Dirk [Nowitzki] or Kyle Korver three-pointer. Physically—even when I’m not scheduled to play, I prepare as if I was starting. I always tell the young guys to be ready, so I must practice what I preach. For example, Al Horford got sick in (the) layup line one game. SLAM: What do you feel that guys like you and Kyle Korver—guys that have been in the League for a number of years—have brought to the Atlanta Hawks this season? EB: I think we bring a great work ethic; we are always trying to get better. I had some guys say, ‘Man, OG you put in work, I’ve played with some vets and they acted like they didn’t even want to play.’ Putting in the work is the only difference from a young guy developing or not; natural talent will only get you so far. After games, on game days and off days, the players that don’t play get together and get some work in. The great thing about the Hawks is these guys want to get better. One of my greatest joys is seeing a guy that’s been working in my “third string” group get a chance to play and shine. SLAM: How has Mike Budenholzer re-energized the team this season? How does his coaching style differ from those you’ve played under in the past? EB: He really treats everyone the same, very fair in his coaching style. It’s about the team, and the team only. If a guy is open, you pass him the ball—that’s the culture around here and the team we have buys into it. It’s fun to play like that on offense and then it translates to defense. SLAM: What was the toughest injury you had to overcome in your NBA career? EB: Achilles was the toughest. [I] never recovered the size and strength of my left calf [power leg], [I] adapted but was never the same player as I was before. It’s like a chain reaction, when one part of the body is out of line it affects what it’s connected to—that’s why when someone has a torn Achilles, sometimes you will next see an ankle problem, knee, or hip. SLAM: How difficult was it to stay motivated when staring down season-ending injuries and the process it takes to recover? EB: If you have goals, it’s not tough to stay motivated. You know, you can’t just sit back and eat whatever, or do whatever. The recovery is tedious, but I wanted to get back and play basketball again. SLAM: You’re very involved outside of basketball: starting your own foundation and being a founding member of Gibraltar Films. What aren’t you involved in? EB: I branched off from Gibraltar Films and went solo. My newest venture, Milk and Media, came about because of the connections I’ve made in Hollywood when I was with Clippers. During the season, I’m focused on ball and family, though. I don’t take any calls or try to read any scripts. [During the] offseason, it’s a great artistic outlet for me. [I] really enjoy taking a script or a short, and seeing it make it to the big screen. Best part is, I don’t have to put in any funding, I can make my vision come true with funding from other larger companies. For example, the last movie I did, WWE partnered up with us. SLAM: You lasted just 24 hours on Twitter. Why the short stint? EB: Wasn’t for me. Didn’t have anything to promote and didn’t really like the feeling of thousands of people having access to me. I called Instagram “Intergram” on Lou Williams page trying to go viral and it worked. I had thousands of new followers calling me old and telling me how out of touch I was. I enjoyed it while it lasted and some of the jokes were actually kind of funny. One follower said ‘Elton Brand? Well you rebound like Elton John now.’ I laughed thinking of Elton John hitting the boards against Dwight Howard. SLAM: What do you like to do outside of basketball? Have any hobbies? EB: I’m usually with the family. My kids don’t watch TV, so we are always using our imagination playing games or going outside building things. There’s an old school soapbox car race in Decatur, GA, so we built a car for it. We built a house. I take my kids to a skate park to skateboard, then basketball. They love to play. When my youngest was 18 months, she would say, “Da Da go basketball” every time I left. SLAM: How did you spend Christmas and New Year’s Eve this year? EB: I spent Christmas Eve building a drum set for my oldest son. Then Christmas Day my sister and mother-in-law came in town and we just ate good food and relaxed. New Year’s Eve I remember being in the bed and the clock said 10:38 p.m. I woke up at about 1 a.m., wished my wife Happy New Year, got a kiss and went back to sleep. SLAM: How connected are you to the Duke basketball program? Do you still talk to Coach K or go back for games? What’re your thoughts on freshman Jahlil Okafor? EB: I speak to coach K every other month, probably. Up to about three years ago he would handwrite you letters and cards, which were very personal but very old school. Now he sends texts, so that’s cool. I went to a game at the Garden against Michigan State when Coach K broke Bobby Knight’s record. Haven’t seen Jahlil play much, but heard something about a 20/20 game, and it being the first time someone did that since me, so he must be good. SLAM: I hear your nickname is ‘OG.’ When did that come to be? I can’t imagine you were always called it. EB: OG came about because of the longevity of my career. I had teammates tell me, ‘I had your SLAM Magazine cover on my wall when I was in sixth grade.’ Even young guys I don’t really know say, ‘What up OG?’ I think it’s just a sign of respect from the young guys. I like it better than the Philly version: Ol’ Head. SLAM: I heard that you used to be really into the hip hop scene, even recording some of your own tracks. Have you contributed to Damian Lillard’s 4-bar Friday or are you still involved in freestyle or personal recordings? What would it take for you to release a track to the public? EB: I’ve always been underground. I just did it for fun, but I was friends with a real producer, LT Hutton. He produced songs for Snoop, Pac, TI, Ashanti, Rick Ross, and many more. Ron Artest stole one of the songs we did at the studio and put it on his album—that’s the closest the public will ever here my flow, unless it’s a joke for a dad with a mini van or something. SLAM: Is it true that you and Shaq had a rap battle once in front of hundreds of people, and that Kevin Garnett was somehow involved? EB: We were in Toronto during the offseason, and somehow ended up on a stage in front of a crowd. Maybe drinks were flowing, maybe not. A few ball players grabbed the mic and began to freestyle, it was all in fun. I had a few bars about L.A. and the Clippers. Shaq grabs it next and starts going in on me, the Clippers, my lack of rings, and it was pretty good off the head. I had a Shazam rebuttal, free-throw joke and changed the topic. Big definitely won that battle, he’s the best ball player to ever do it. I had actually cooked up some lines if I ever saw him again, but never had the chance. SLAM: Your contract is up at the end of this season. What’s the next step? Do you feel like your body has a few more seasons in it? EB: As I said before, Bud is a very fair coach. I don’t play that much this year, but last year I played over 40 plus minutes in back-to-back home and away games. I think he’s trying to break even for all that work I put in to get us to the playoffs last year. My body feels great. I think I can do 1 or 2 more [seasons]. I talk to Shawn Marion often and he tells me he’s out. When I talk to Paul Pierce and Vince Carter they say till 40, so I’ll see how long I can hang. There is nothing else I’d rather be doing, though, especially on a good team. SLAM: What do you hope to do after your retire? EB: After I retire I hope to stay fit. I see a lot of retired guys and they look like balloon versions of themselves. SLAM: Tell me me about the perception of success for No. 1 overall picks? What comes with that weight of expectation? EB: No. 1 picks are expected to save the franchise or bring it to the next level. There is a lot of pressure, especially for me following the glory days of the Bulls. No rookie can really step into a bad team and win the championship the next season. You have to realize it’s a process and there has to be pieces around you. In high school you could probably take your team over the top alone, perhaps college, but in the pros that won’t happen. You will always be compared to the guys that got drafted after you. SLAM: Having played in many NBA rivalry games, have any matched the level of competition and adrenaline a Duke vs. North Carolina matchup created? EB: Duke and North Carolina is another level of intensity. I don’t know if it’s the college fans or what, but Cameron Indoor Stadium place is electric two hours before the game. I went to the Celtics, Lakers NBA Finals to support my friends Lamar Odom and Paul Pierce, and that was intense. I think certain NBA teams have the rivalries that compete with Duke, N.C. but in a playoff atmosphere. SLAM: What’re your thoughts on the advent of advanced analytics in NBA analysis? Do you like being told how fast or how much you run in a given game? Do you think the new analytics have use? EB: I like it for certain people. If it’s a general manager or scout that also has a feel for the game and players, I think advanced analytics can be a wonderful tool. If not, you’re just putting numbers out there on the court and that hasn’t translated to wins yet. SLAM: How do you stay involved with your family when you’re on the road as much as you are? Do your sons take after their father and play basketball or sports? EB: We do FaceTime often. My son likes to see the players on the bus ride, and different cities I travel to. The fact that he’s really into basketball makes it easier for me to keep playing. I blocked LeBron James’ shot and he was talking about it to his friends for a month. SLAM: How did your mother impact your commitment to basketball? Was it difficult losing her this season? EB: Mom was my greatest fan. I had to hold back tears in my first preseason game, looking up and not seeing her in the stands. [It was] so difficult, I miss her so much. She instilled the work ethic that I have. 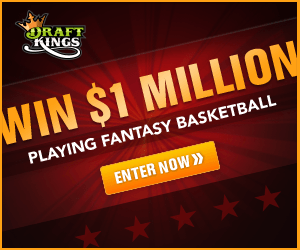 SLAM: What’re you looking forward to most regarding the second half of the NBA season? EB: I’m just looking forward to the journey. Not sure what will happen, but I’m still in the game, and it will be part of my story. Suge Knight once told me at dinner, ‘They can take many things from you, but they can’t take away history.’ I hope the Hawks can make history.